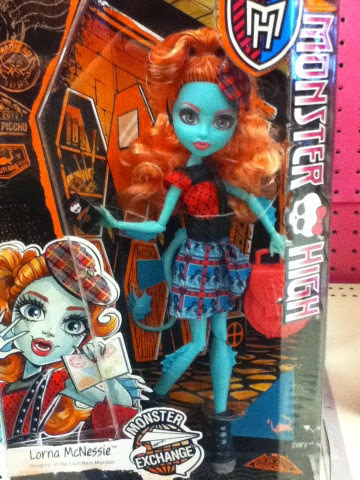 We are kicking off our new webisode review section with the recent Monster High webisode "Looks Gil-ty." This episode features Lagoona, Gil, Lorna and Serena and deals with Lagoona's insecurities about Gil and Lorna spending a lot of time together. Lagoona and Serena follow Gil and Lorna into the Monster High pool and see them go into a submarine. Lagoona uses a seashell to overhear the conversation and hears Lorna say they should be together. The window on the sub gets broken and Lagoona gets spotted by Gil and Lorna. Lorna was talking to her saltwater boyfriend about how Gil and Lagoona make their relationship work and they could too. Gil asks Lagoona what she is doing there and she tells him that she wanted to give him a seashell to remember her. 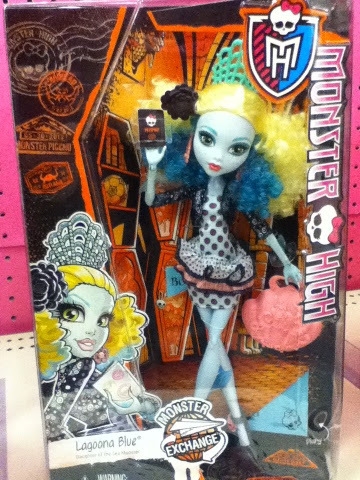 At the end of the episode Lagoona is in her new school for the Monster Exchange program. Her and Gil are talking about how much they miss each other and he holds up the seashell she gave him. I liked Lorna in this episode but something about the way Lagoona was acting really bothered me. It could be me but it seemed like her voice was different. What did you think of the webisode?